All over Fernie! Group and Whjite Elephant sale at Wildsight Elk Valley office, 891 2nd Ave. The Community Yard Sale is back and set to take place Saturday May 25 from 9AM to 1PM! 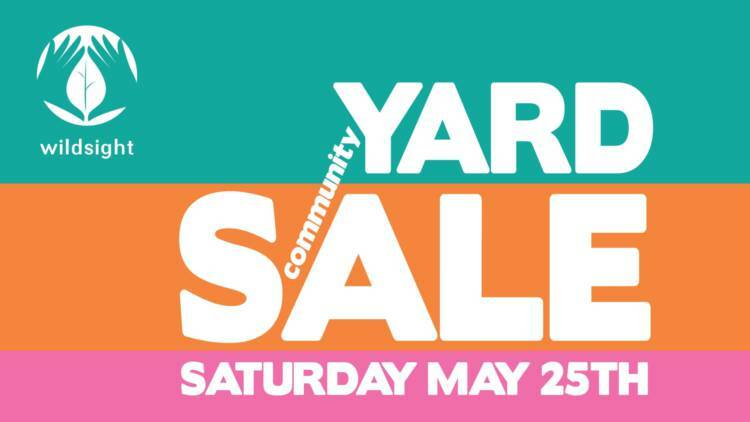 The Community Yard Sale is back and set to take place Saturday May 25 from 9AM to 1PM! All individuals, families, organizations and businesses in Fernie are encouraged to take part. The registration fee is $20.00, and all funds raised will go towards Wildsight Elk Valley Projects. Wildsight Elk Valley will also host a “White Elephant” yard sale at their office at 891 Second Avenue in Fernie, where citizens who are inspired to declutter but don’t have the time to sell their goods can donate them to the Wildsight Yard Sale. If you are interested in donating to the White Elephant Sale please drop off items anytime after May 10. Community members can register to be a part of the Wildsight Community Yard Sale by visiting wildsight.ca/yardsale or look for the registration form in the Fernie Free Press in May, 2018 editions. To download a Registration Form click here. To pay online with a credit card please click here. Please ensure that you put your PHYSICAL ADDRESS on the form as well as this will be used on the Free Press map.